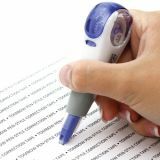 Tombow MONO Correction Tape Pen, Refillable, 1/10" x 236"
Easy-to-use pen design allows precise coverage for type as small as an 8-point font. Easy to refill with snap-in cartridge. 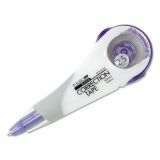 Tombow MONO Correction Tape Pen, Refillable, 1/10" x 236" - Refillable pen-type applicator features a fine tip for precise corrections. 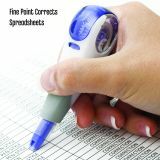 Ideal correction tool for forms and spreadsheets. Also has a sliding protective sleeve and clip. 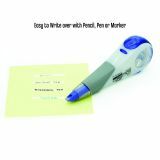 Single-line correction tape in compact ergonomic dispenser provides complete coverage with no fax or copy shadows. 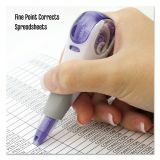 Makes instant corrections with no drying time. Convenient, easy-to-use applicator pinpoints accurate placement of white film for quick, clean complete coverage. Retractable sleeve protects tip of correction tape when not in use. Convenient rewind knob for tape adjustment. 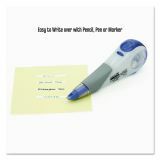 Environmentally friendly applicator is refillable. Acid-free. 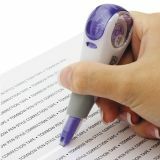 Soft grip allows you to comfortably make corrections throughout the work day. Retractable tip cover protects tape when not in use.